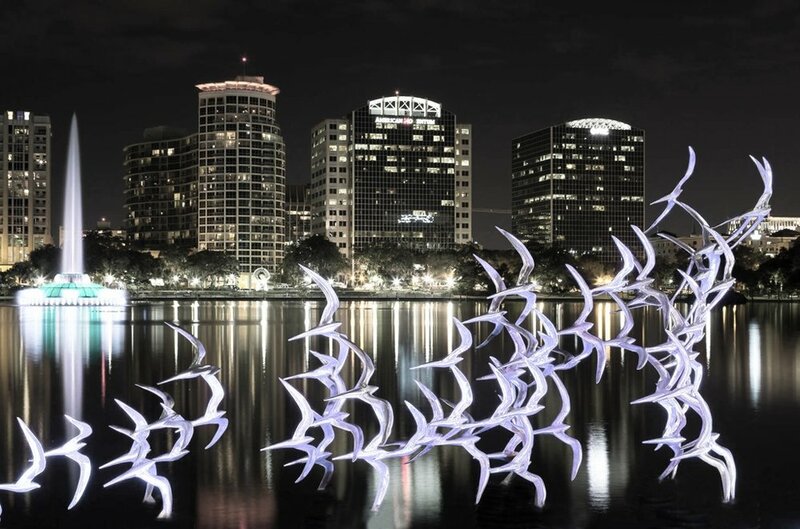 D E S C R I P T I O N : A “flight” of a type of bird housed at Cameron Park Zoo, treated similarly to the Take Flight water piece which I created for the city of Orlando. I envision a flight (or a few small flights) consisting of fifteen to twenty birds, designed specifically to fit the selected site. 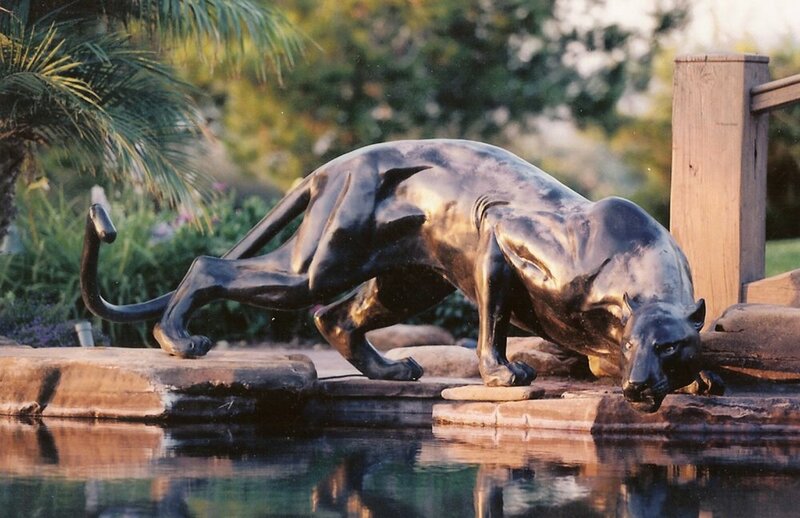 D E S C R I P T I O N : A beautifully stylized panther/cougar, specially cast for this project. Patina coating can be in any color desired. It is 125% life size, measuring 9’ from nose to tail. 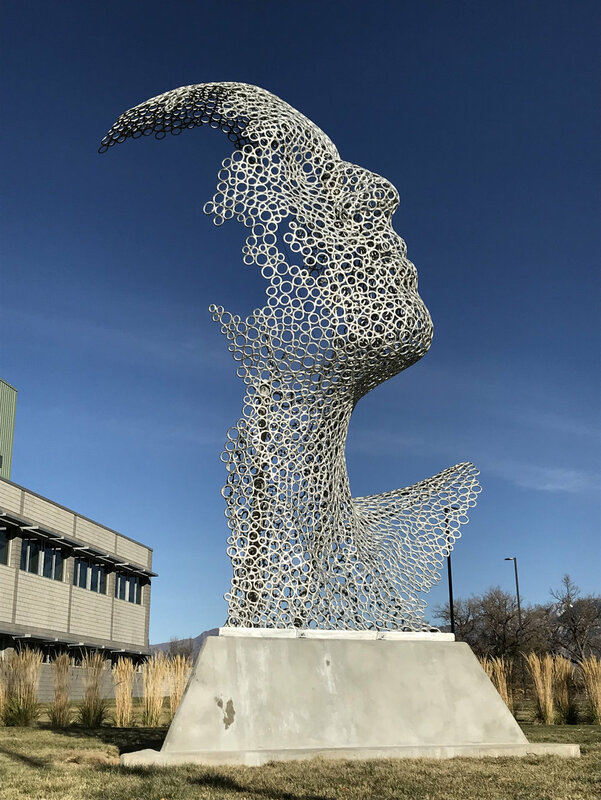 I have created dozens of sculptural artworks across the nation from Ground Zero in New York City, west to Salt Lake City, Burlingame and William Shatner’s estate in Los Angeles; from Orlando north to the University of Wisconsin with dozens of municipalities in between. We have worked with budgets up to 2.1 million and with bureaucracies and sites as complex as New York City and committees as sensitive as the 7/20 Aurora Theater Shooting committee. My images attest to an unusually diverse body of work exploring an ever-evolving diversity of styles, materials and subjects. This diversity is intentional and reflects a commitment to approach every art opportunity with a creative “blank slate”. It is important that my artistic vision be guided solely by the site, the community and its energy, rather than past ideas or technical limitations. I find this approach allows me to continually evolve as an artist and resist stagnation while remaining receptive to fresh ideas and directions. Over the years, this has endowed my studio with a breadth of skills which has proven wonderfully freeing to my artistic vision. From a practical standpoint, important projects such as these also demand finalists who evidence the professionalism required to maintain healthy long-term working relationships and deliver their vision on-time and within budget. As my references will attest, I strive to be a complete professional; to me this means being approachable, ego-free, honest, communicative, prompt, and thorough while maintaining a positive, team-centric, problem solving attitude.